Amazon has streamlined and refined its Echo hardware over the past few years to create a robust smart home experience. Some of the most recent hardware updates come in the form of the Echo Show and Echo Spot. They are the first Echo devices to include displays and video cameras, making them great for visual announcements and video calls. Tablets have screens and video cameras too, though, and some of these features are making their way to Amazon’s Fire tablet lineup via a software update — specifically, Drop In and Announcement modes. 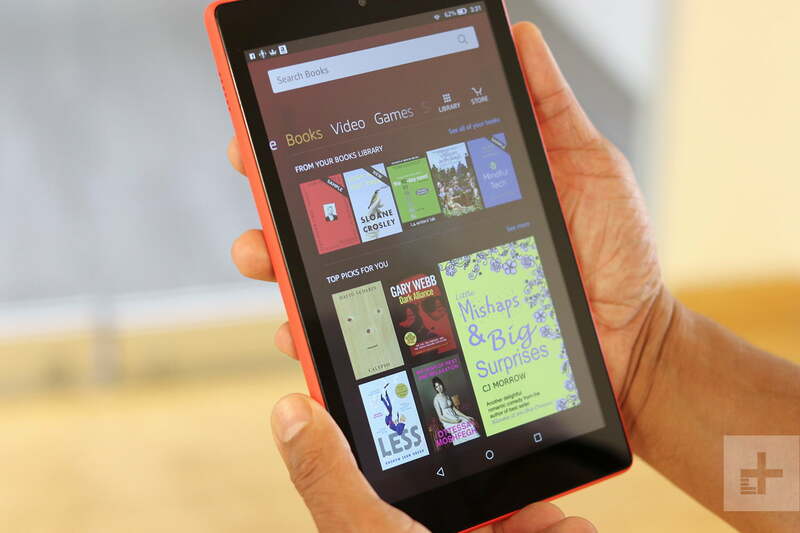 The new features will not be available on all Amazon Fire tablets, though. Right now, Amazon is adding the functionality only to its Fire HD 8 (2017 and 2018) and Fire HD 10 tablets. Drop In and Announcements modes are nearly identical to what you find on the Echo Show and Echo Spot. The former lets you drop into calls with other Echo and compatible Alexa tablets, while Announcements let you broadcast to all other Alexa devices in your household. While they’re nice to have, they’re also invasive — thankfully the features are not turned on by default. Here’s how to use Drop In and Announcement modes on Amazon’s Fire tablets. If you want to try our Drop In and Announcement mode on your Kindle Fire HD, you need to make some tweaks to the settings. Go to Settings in the drop-down menu and select Alexa. Toggle the Alexa and Hands-Free Mode sliders to On. Tap Communications and toggle on the sliders for both Calling and Messaging. Next, you will want to configure the Drop In feature by setting it to On. Select My Household to allow other devices on the same account to have access to Drop Ins, or extend the option to your permitted contacts as well. The last thing you’ll need to do is turn on Announcements. Simply toggle on the Announcements slider and you’re set. Once you have everything set you’ll need to enable Show Mode to use the features. You have two options to turn on Show Mode: The easiest to simply say “Alexa, switch to Show Mode.” If that’s not convenient, you can also swipe down from the top of your Fire tablet’s display and toggle on the Show Mode slider.